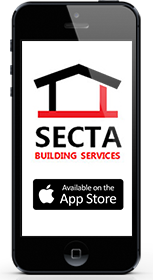 Secta Building Services is an established property maintenance company since 2006 dealing in all aspects of property maintenance but with a difference. Our focus on customer service and technical excellence extend to every part of our company from our working operative’s to our call centre staff that are available 24/7. 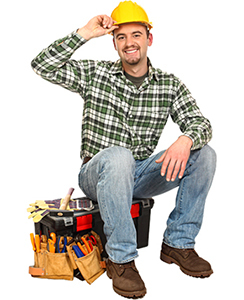 Whatever your property maintenance needs, our highly skilled and qualified tradesman will be happy to help. Whether you need a gas engineer, an electrician or even if you have an unexpected leak, look no further than Secta Building Services. to book an appointment today! We offer a wide range of services which include; general handyman maintenance work, painting and decorating, carpentry work, fixtures and fittings, refurbishments and renovations, plumbing, drainage and electrical works and gas and heating services. We deal with enquiries quickly and efficiently keeping the customers interest as a priority. Call Centre staff will deal with your enquiry quickly and efficiently 24 hours a day. We can usually be with you within the hour if required or an appointment made to suit you. Rates are completely transparent and there is no call out charge when you use Secta Building Services. Work is either carried out on an hourly rate or an estimated fixed price can be given for larger jobs. Experienced estimators provide accurate, detailed and fully costed schedules and description of work. Larger works will be supervised and planned to create minimal disruption.